Received a Email from Clinelle. 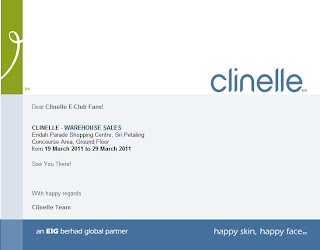 I Wan to Restock Clinelle Powder maybe in RM8! Which it is oil control and wont clog my pores. what is worth to buy there? What powder u mentioned? is like the pressed powder fo touch up. 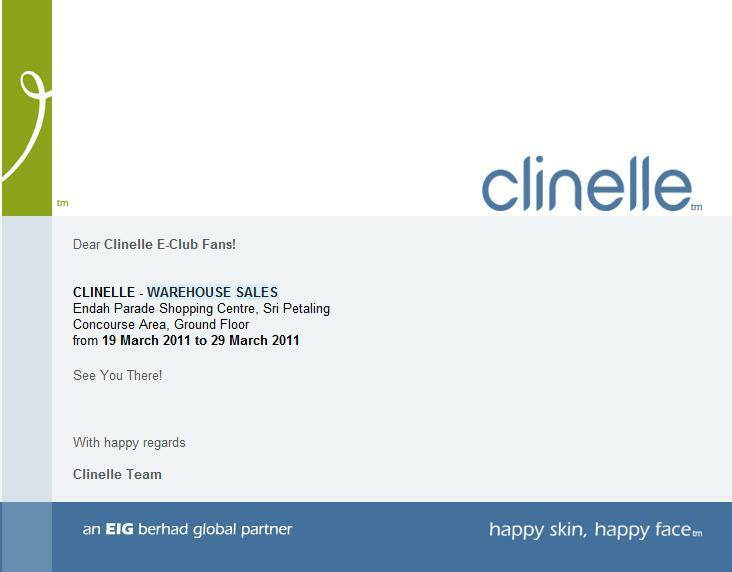 may i know where got clinelle warehouse sales? i want re-stock my skin care.. thanks..
Hi there, I found your website via Google while searching for a related topic, your web site came up, it appears great. located that it's really informative. I am gonna be careful for brussels.